Full of flavour, these aromatic gins may not be exactly what you are used to, but they will take you on a journey along the spice route, via the Mediterranean, a Moroccan souk and back to the hedgerows of an English country lane. A light, fresh, country garden of a gin made by master distiller Joanne Moore in a distillery founded in 1761. 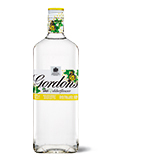 Smooth and clean, it is delicately made with three key botanicals: honeysuckle, camomile and pomelo. Try it in a French 75: Shake 15ml fresh lemon juice, 15ml sugar syrup and 30ml Bloom Gin over ice. Fine-strain into a chilled Champagne flute and top with prosecco or Champagne. Try it in a Sloe Gin Fizz: Fill a Collins glass with ice. Pour over 50ml Hayman’s Sloe Gin, 30ml fresh lemon juice, 20ml sugar and 75ml soda water, then stir. Garnish with a lemon slice. One of several brands that are spearheading gin's resurgence, family-owned Hendrick's Gin is based in Ayrshire. Master distiller Lesley Gracie oversees production in two small 500-litre batch stills, using a selection of subtle botanicals and a unique infusion of cucumber and rose petals to achieve Hendrick's `most unusual taste'. Best served with a slice of cucumber. Try it in a Hendrick's Floradora: Mix 50ml Hendrick’s, 20ml lime juice and 20ml raspberry syrup in a teapot. (To prepare homemade syrup, mix raspberry jam with warm water and strain.) Pour into two teacups with ice. Top with ginger beer or ginger ale. Garnish with a lime slice and raspberries. Try it in a G&G (Gin & Ginger): Fill a chilled highball glass with ice cubes. Add 50ml Opihr Gin and top with Fever Tree Ginger Ale. Garnish with a swirl of orange zest. 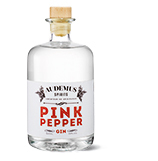 London Dry Gin and natural elderflower flavourings. 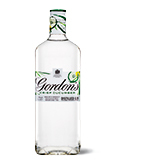 Delicate and floral on the nose, sweet and fragrant on the palate – serve over ice with tonic, a slice of lemon, cucumber or even a strawberry. 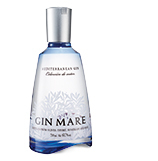 `Mare' means `sea', and this small-batch gin brings together the cultures that surround the magnificent Mediterranean. The Arbequina olive is mixed with other classic Mediterranean flavours, namely thyme, basil and rosemary. Coriander, green cardamom and juniper complete the profile.